Children are full of questions about the world around them. We hope that Space Scoop will answer some of their questions, and encourage them to ask many more. The idea behind Space Scoop is to change the way science is often perceived by young children as an outdated and dull subject. By sharing exciting new astronomical discoveries with them, we can inspire children to develop an interest in science and technology. Space Scoops are short news articles about astronomical discoveries, written in a child-friendly language and accompanied by a stunning astronomical image. Space Scoop makes a wonderful tool that can be used in many different settings to teach, share and discuss the latest astronomy news. 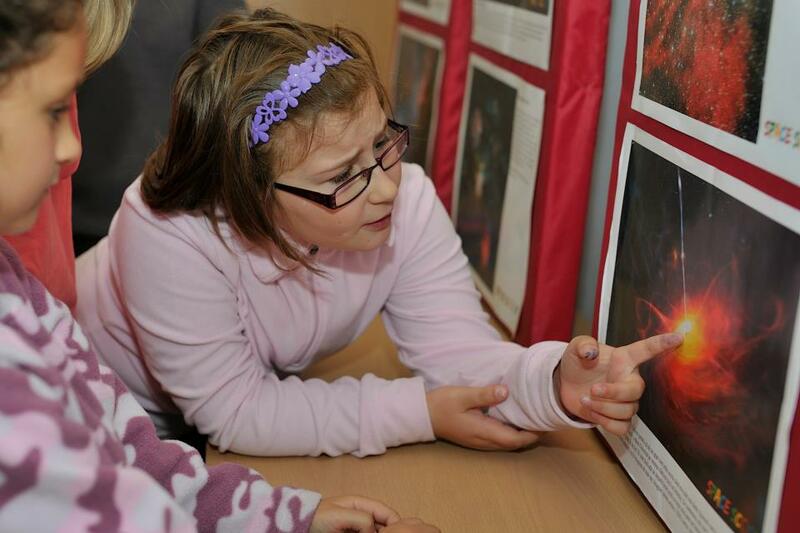 Share the excitement of new discoveries with children. Show that there’s still potential for contribution in the area. Enhance understanding of the world and encourage critical thinking. Broaden children’s minds and cultivate world citizens. Each Space Scoop begins with a new discovery or observation in the field of astronomy and space science. Our partner organisations then prepare a press release, which undergoes a critical science check before being sent to us where the release is translated into a child-friendly language. Similarly, Space Scoop undergoes an internal educational review to assure the highest quality. The final texts are then sent to our group of volunteer translators from all over the globe, where it is translated into 33 different languages. Finally, the Space Scoops are released to the public at the same time as the original press release to ensure kids can keep up-to-date with the latest discoveries, just like adults can. The articles are adapted from adult press releases provided by partner institutes. The European Southern Observatory (ESO) was among the first astronomy institutions that joined up with this service and had its press releases translated into “kids language”. 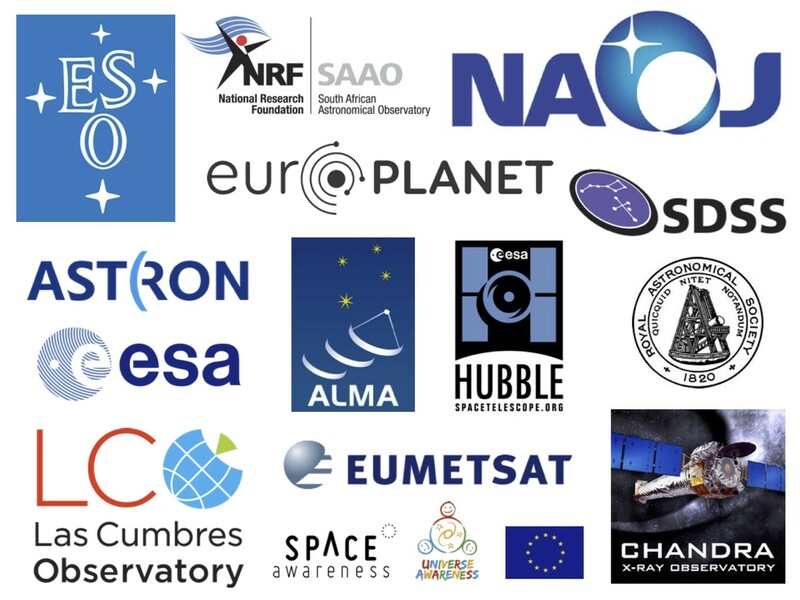 This has since expanded to other organisations, including: NASA Chandra X-Ray Observatory, European Space Agency (ESA), National Astronomical Observatory of Japan (NAOJ), Netherlands Institute for Radio Astronomy (ASTRON), Europlanet, South African Astronomical Observatory (SAAO), Royal Astronomical Society (RAS), Las Cumbras Observatory Global Telescope (LCOGT) network, NASA/ESA Hubble and the Sloan Digital Sky Survey (SDSS). How Can Space Scoop Be Used? Print is an engaging format that is suitable for reaching small audience with a lasting impact, making it a suitable medium for imparting scientific facts. Space Scoop articles are primarily available as text, which can be read on the UNAWE website or on the special Space Scoop website. They can also be downloaded and printed as a .pdf. Space Scoop articles make a great addition to classroom bulletin boards and are available in a print-friendly format on the UNAWE website. The articles and images can also be used as a fun, informative and inspirational feature on websites, magazines, newspapers and newsletters. You can find already Space Scoop available in a number of print and digital outlets such as: Anorak, a stylish children’s magazine that's crammed with clever illustrations and interesting articles, including features about astronomy written by UNAWE. For a younger audience, Space Scoop is also available as a feature in Timbuktu, an interactive, digital magazine. For a more grown-up audience, AAAS Eurekalert! global news service features each Space Scoop in their “News Reporting for Kids” section. Other outlets featuring Space Scoop articles are Goa’s Nahvind Times, Dutch science magazine ‘Universum’, Dutch science website Astronomie.nl, Wired.com, popular Indonesian website Langitselatan, National Geographic Indonesia and the Slovenian Magazine and website Portal v Vesolje. Additionally, Space Scoop article, “The Universe is Big, Beautiful...and Mostly Invisible”, has been featured in an official South African textbook (Spring 2013) which is used in primary schools all over the country, reflecting the quality of Space Scoop in terms of both scientific and educational content. Space Scoops high-quality visuals and informal, friendly style make it easily adaptable to video and podcast formats, which are suitable for easily capturing public attention and reaching a large audience albeit on a less intense basis than text. After watching a video or podcasts an audience will remember how it made them feel, better than they will remember individual facts, making this medium better suited for inspiring - one of the main goals of Universe Awareness and Space Scoop. 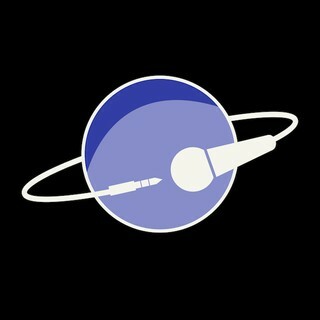 A Space Scoop podcast has been created as part of the 365 Days of Astronomy project. Making Space Scoop available in audio allows access to a wider audience such as the visually-impaired and illiterate. Our releases are read out loud to the listener and can be downloaded from the site and subscribed to via an RSS feed or iTunes. Each Space Scoop podcast receives an average of 1750 downloads. Space Scoop partner organisation NASA’s Chandra X-ray Observatory have created several Space Scoop video podcasts in response to the resources immense popularity on their website. These videos can be used in a wide variety of ways, such as in the classroom to support science lessons or as a web page feature. Today, for most parts of the world, digital media is exceedingly accessible, able to reach a mainstream audience of tech-savvy young generation and, if presented correctly, this format can even attract the most reluctant readers. In response to this demand, a Space Scoop app has been created for Android devices. The app is designed to share the most exciting new astronomical discoveries with children in the hope of inspiring them to develop an interest in science and technology. Almost 200 child-friendly news articles are already available in 22 languages, and up to two new stories will be added each week. Screenshot of the Space Scoop app for Android devices. Click the image above to download the app. Space Scoop isn’t just a static resource, many activities can also be designed around the resource. For example, several successful Space Scoop exhibitions have been held around the world, in schools, during science festivals and as long-terms exhibits at libraries etc. Here's an example of a session with a Kindergarten in Bucharest, Romania (see also below). Another example of a mini-exhibition at the Eco Herous Festival. A young girl enjoys a Space Scoop at an exhibition in the Romanian capital of Bucharest. Alternatively, Space Scoop can be used as the basis for educational activities. Space Scoop Storytelling uses the articles as the basis for a creative, cross-curricula activity that touches on astronomy, literature, presentation skills and more:. This activity can also be successfully adapted to incorporate dance, theatre, drawing, presentation skill and more. Everyone is encouraged to customise Space Scoop with additional activities and materials of their own. You are free to subscribe to our newsletter which contains 3 Space Scoops per month, as well as a number of UNAWE resources that are available. ‘Writing Space Scoop in Seven Steps” by Sarah Reed -- CAPjournal, No. 13, April 2013. Don’t shy away from complex topics. Young minds have the extraordinary ability to absorb information, just this needs to be communicated in simple terms. It’s fine to say that scientists do not to know everything. That just means there are mysteries still to be solved. It is our goal to distribute Space Scoop to an audience as large as possible. Our Creative Commons Attribution-NonCommercial-ShareAlike 3.0 Unported Licence allows you to post Space Scoop and its image on any website, social network or publication for free. Attribution specifically makes it available for commercial use (e.g. South African textbook). Just attribute to UNAWE. Help us “inspire every child with our wonderful cosmos”. If you are interested in knowing more about Space Scoop, please contact us at: seroberts@lco.global or info@unawe.org. We are eager to get your comments and remarks! If you've been using Space Scoop in an exciting activity or event, or simply at school, we'd like to hear your story. Please use this form to tell us about it. Edward Gomez (LCOGT), Robin Kleian (UNAWE), Natalie Fischer (UNAWE/ Haus der Astronomie), Wouter Schrier (Leiden University), Matthew Allen (Cardiff University).